Credit card debt declining: How can that be bad news? What do you know about debt collectors? If you've been lucky and/or prudent in the past, your answer may well be: very little. You know they exist, you've read a bit about them, but you see them as an anthropological curiosity. Think Margaret Mead in Samoa. However, if you've ever been on the receiving end of a debt collector's attention, your opinion may be somewhat less nuanced. It's not a nice experience. Being a debt collector isn't a job that many of us would necessarily aspire to, but, of course, it's an essential one. If everyone refused to do it, repaying debt and paying taxes would become voluntary, and economic collapse would soon follow. And we all know that the collapse of the economy is a task that Congress is working hard to achieve - er, prevent. It's not unusual for people who are ill or unemployed or down on their luck to see their credit cards as a lifeline. Once they've used up their savings, they often build up credit card debt in order to feed their families, pay their essential bills and keep a roof over their heads. More surprisingly, credit cards are perceived as a "lifeline" by the debt collection industry too, at least according to insideARM.com. Since the '90s, when they overtook the healthcare sector, credit card companies have been the fastest growing source of new business for the industry. And they remain among the biggest clients. Credit card debt is the lifeline of the debt collection, and broader ARM, industry. With near-universal adoption spanning practically every socioeconomic classification, credit card debt has been commoditized by banks, investors, and the ARM industry. Declining card volumes could be a new normal for ARM companies in the very near future. Banks simply will not have the inventory of charged-off debt [bad debt that's referred to collection agencies] that currently burdens them, and upon which the ARM industry relies. IndexCreditCards.com exists for the benefit of consumers. So it's no surprise that its contributors (including this one) see the world in general--and credit cards in particular--through consumers' eyes. That makes it more than a little shocking to view credit card debt from such a completely different perspective. Yes, debt collectors have to work with people who are enduring real misery, not least as a result of the harassment that those collectors bring. But it seems perverse for anyone, even those with a vested interest, to bemoan a reduction in the amount of misery their fellow citizens are suffering. Credit card companies drive high standards? Mark Mathia is the CEO of the collections agency he co-founded. And, in a feature he wrote for The Credit Card Issue, he claimed that card issuers have been the principal force that has driven up standards in the debt collection business. However, not everyone believes that all collections agencies have yet achieved acceptable standards, and--as the number of suits filed in court against them remains extremely high--this view may have some validity. Too many continue to flout state laws, and federal ones such as the Fair Debt Collection Practices Act, the Telephone Consumer Protection Act, and the Truth in Lending Act. With years of mainstream media coverage depicting consumer horror stories about credit and debt collection practices, along with growing complaints and lawsuits, have corroded an already tenuous industry reputation. Your ability to steer well clear of those with tenuous and corroded reputations may soon be made more challenging. 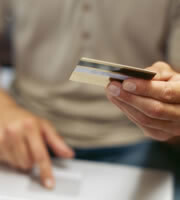 At the time of writing, IndexCreditCards.com calculates that average credit card interest rates stand at 16.80 percent, which is exceptionally high by historical standards. And yet Federal rates remain at record lows. How can this be? Well, credit card interest rates are only partly based on Federal rates. So card issuers are largely free to pile on percentage points whenever they feel like it. And with the vast majority of cards now having variable rather than fixed rates, that means that the cost of your adding new purchases can rise very quickly. The trouble is, you may soon be forced to rely more on the lines of credit your cards provide. Economists appear much less willing to dismiss the prospect of a double dip recession than they were only a few weeks ago. If the worst does come about, you may, with luck, be able to avoid being forced to use credit card debt to feed your family, but you could still find your income unexpectedly reduced. And that could bring with it an unanticipated need to carry card balances forward. So what can you do to protect yourself and your family? To begin with, minimize as far as you can any exposure to credit card debt that you currently have. And then, try to retain a long-term view of your finances. So the next time you receive glossy new cash back credit cards or travel rewards cards, pause for thought. They can quickly lose their shine if they're used irresponsibly. And never forget: there's a whole industry out there just salivating at the prospect of your getting into trouble. 0 Responses to "Credit card debt declining: How can that be bad news?"